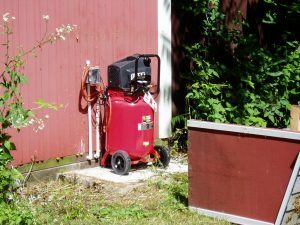 Dolly’s 20 gal compressor failed in July. 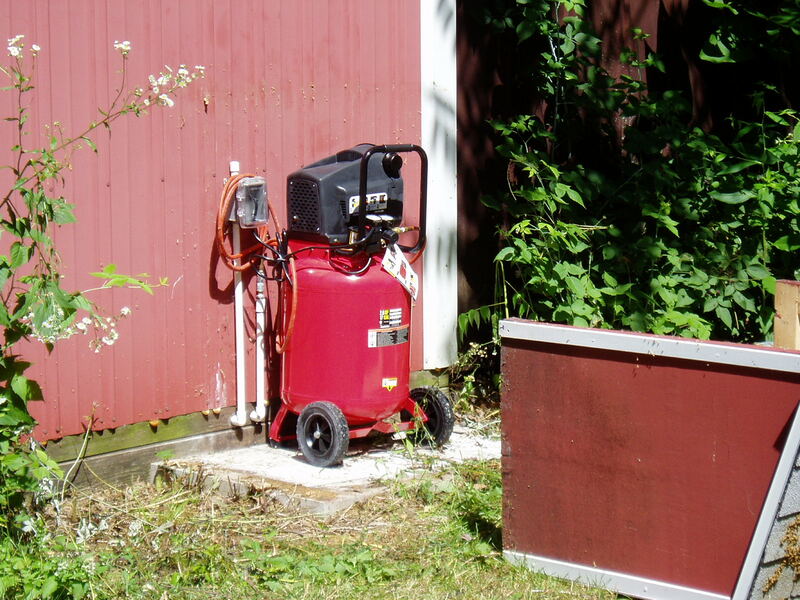 I replaced it with this oil-less 150 psi unit from Harbor Freight. It works as advertised. I learned however that a lower-pressure higher-volume pump might have been a better choice. Our air tools don’t need pressures above 60 psi, and this pump can’t keep up with our die grinder or finger sander. It also runs longer reaching it’s non-adjustable cutoff pressure of 150 psi. Fortunately it fits under the weather cover built for it’s horizontal tank predecessor.